Ankara Styles #431: Ankara Work Mondays? Yass Girl! A model struts confidently in her DIYANU pant trouser. Loved the way she is styled. It’s perfect for Mondays! Ankara work chic? Like how is that supposed to beat the suit and tie traditional way of dressing to work? It’s no news that Ankara is topping the other types of fabrics little wonder ladies prefer to wear Ankara to work especially on Fridays. When in doubt, go for Ankara shift dresses. They are so easy to style! There are over-the-top styles that leave your jaw dropping when you see trending Ankara styles all over the explore page of your Instagram page. I love the Ankara jackets, in particular, they give this “female power” look when you have it on your shoulders. Chigi would rather rock her “traditional office wear” but with a touch of Ankara jacket on her shoulder for that oomph she needs! 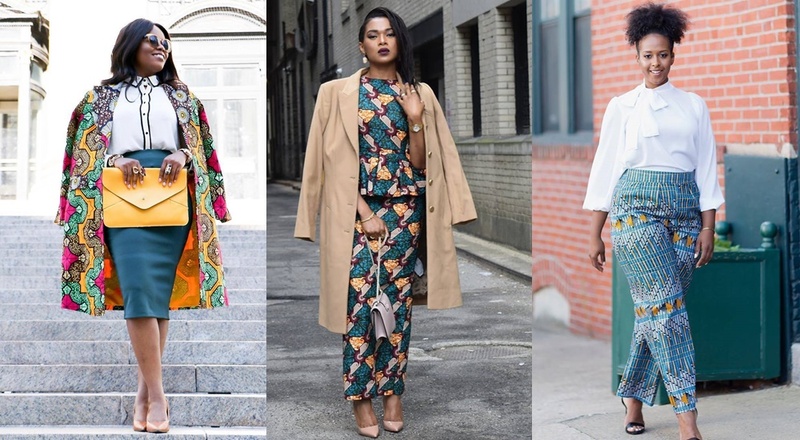 There are stylish ways to dress up in Ankara for work; You can make a simple shift dress and get your “English jackets” worn on your shoulders vice-versa. Kiki chooses to rock her shift dress and finished her look with the trench coat. So lovely! A simple dress shirt would be so easy to give to you that chic, smart and classy look in a working-class woman. Accessories play a good part in making you look extra classy. A sky-high heel needs no introduction that a “boss lady” is here to work and not play. Obi gives us another angle to rock this trend! Sometimes, play it down to being natural. I mean too much accessory spoils your look because the Ankara prints are already to colourful or too bright and adding extra glitter, colour may just spoil your look. Just remember this simple line, “less is more”. KIki is so stylish in her outfit. She chose to style her Ankara palazzo pants with a blazer! House Of Card Star Kevin Spacey Comes Out As Gay + Apologizes For Alleged Sexual Harassment.